We're all about user experience. A Virtual Data Room that empowers your team to do more. User experience at the heart. Time and time again we've been able to improve efficiency and create valuable time for clients. 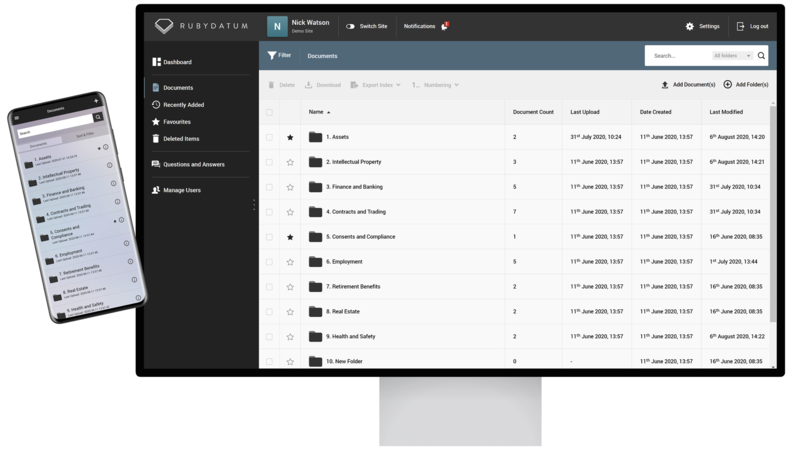 Ruby Datum offers an unrivalled user experience, with every feature put through rigurous usability testing to ensure a clutter-free experience. Experience our unique content delivery system. 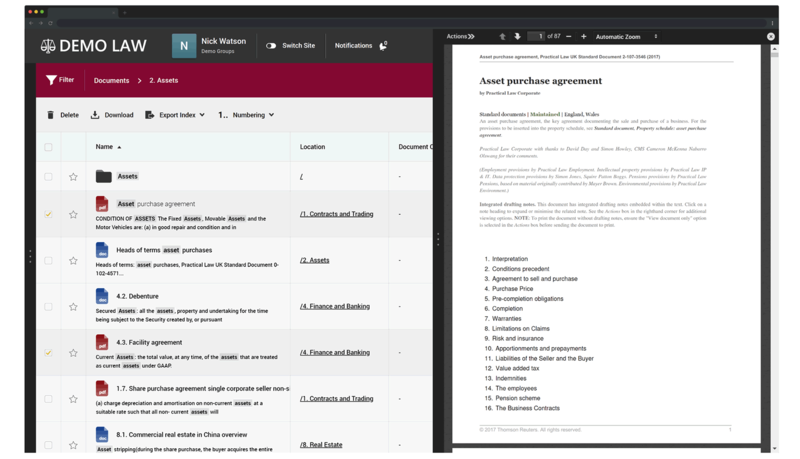 Take your deal room out the office and on the move with our dedicated 'mobile first' interface. With our 100% uptime guarantee and great customer support, you can ensure secure 24/7 access. We don't just assign you an account manager. We assign you a designated developer. It is their job to ensure integrations go as smoothly as possible, whether it is an Active Directory login setup, Ai tool integration or a full data flow into and out of your case management system. Ruby Datum isn't just built around you, the user. It extends to third parties, to provide them with the best experience, giving you complete peace of mind when it comes to negotiating. Our team has years of experience with virtual data rooms, and is on hand around the clock, to provide full technical support. Our pricing is both simple and transparent, ensuring no hidden costs.